X-Plane 10 and 11 have a really good group of contributors where you can find lots of free scenery and add-ons. The free and huge HD Mesh is especially good, as is the Open Street Map data used in W2XP. For a while now I’ve been playing with Ortho4XP, which is a free utility to add photographic scenery tiles to X-Plane custom scenery. 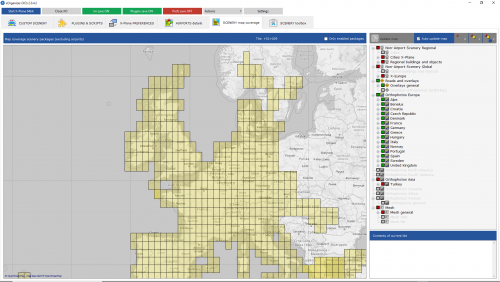 It uses either free or commercial map services as your tile graphics and is very flexible. It’s a complex beast though, with lots of knobs (including the one behind the keyboard) to go wrong, so I wanted to show a simple guide. I would like to say though that I’m no expert on this, so hopefully someone can step in that knows what they are really doing when reading this. 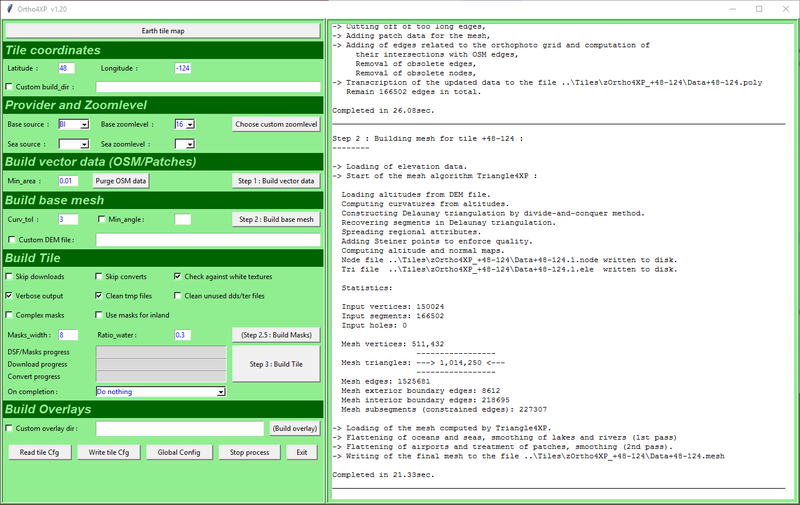 This is just a zip file you extract somewhere with some space, i.e. 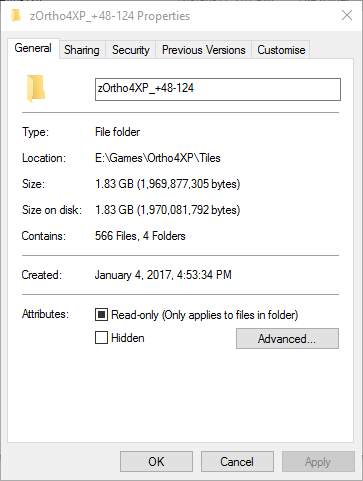 E:\Games\Ortho4XP. Ortho4XP is a python utility and the zip contains everything you need. I think we can all agree that is fairly terrifying. The buttons are numbered, 1,2,3 so it’s not too bad after making it work the once. Zoom levels basically describe how detailed/large to make the scenery data. Level 0 can show 360 degrees longitude in a single 256px wide tile, and they base 2 down from that. 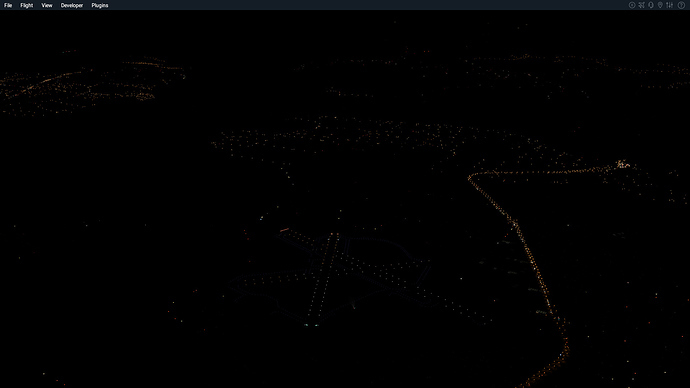 A zoom level 19 (1:2257 scale) will take huge amounts of disk and you have to be very low to make out that level of details, so something like 15/16 is usually good, with 17 around airports or towns you have departures/approaches over if you want to obsess a bit. 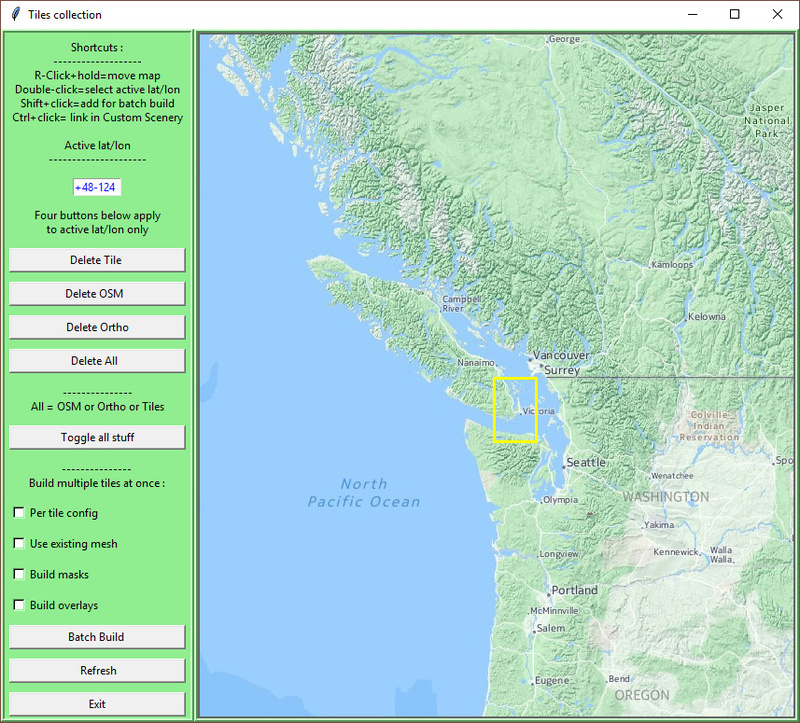 You can also see the custom zoom preview window allows you to draw zones to get certain areas in more detail, but that’s for a more complex walkthrough (he says not having ever done it). Ok, it got some node data from the nice people at Open Street Map. As you can see, even just at defaults and using level 16 it likes to store stuff. Now rather than do the individual steps show, what we would normally do is pick a bunch of ‘areas’ and use the ‘Batch Build’ from the first screenshot - that’ll automate things and take a while. ##So What Does It Look Like Frog? So, just a quick intro and the photo stuff is definitely an acquired taste but good for a realistic feeling if you aren’t ‘helo low’. 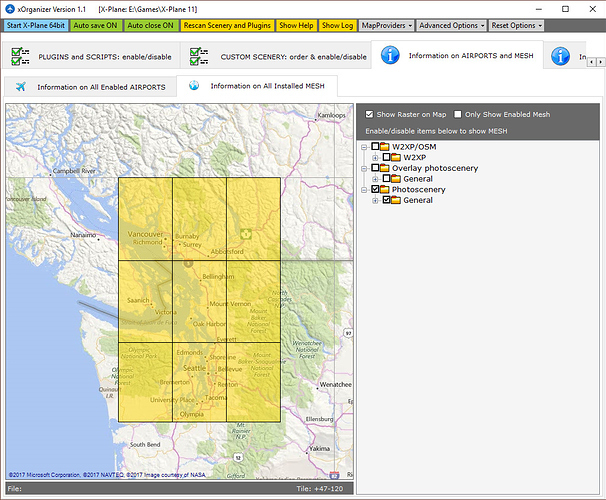 It is worth trying out some trial areas with the different map providers (but don’t tell them, ssh!) to see what you personally like the look of best. The examples above use the default ‘Bing’ and maybe they are just welcome to get someone visiting them. 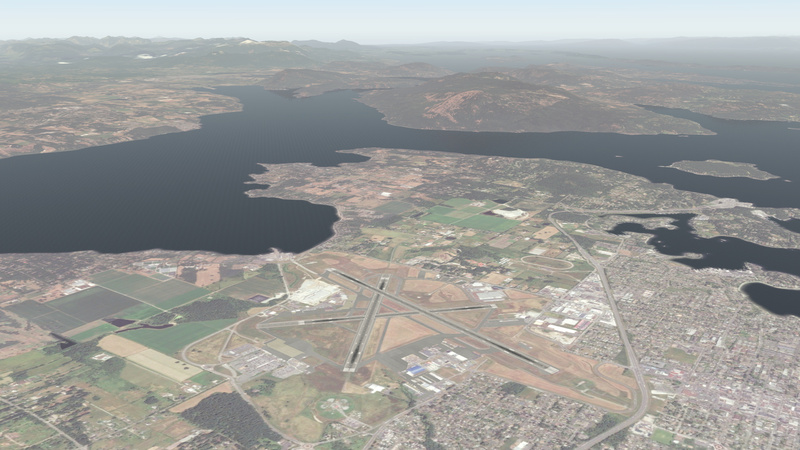 Next more advance next steps would be using the Custom Overlay to combine data with the existing HD mesh/OSM data and general digging away to make it look better. Once you have your settings then the batch build makes it easy to just tap and go (and buy more disk). There’s lots to do to improve from the defaults but hopefully this posts shows it isn’t too hard to use or install anymore. It’s also better than paying a lot of money for similar scenery. HDMeshv3 Part 2 here - X-Plane Ortho4XP Guide? Woot…! I know what I’m doing this weekend…! I am a bit of a toddler with a shotgun, so I’ll help if I can. I was just hoping this post would taunt someone better qualified to come correct it. 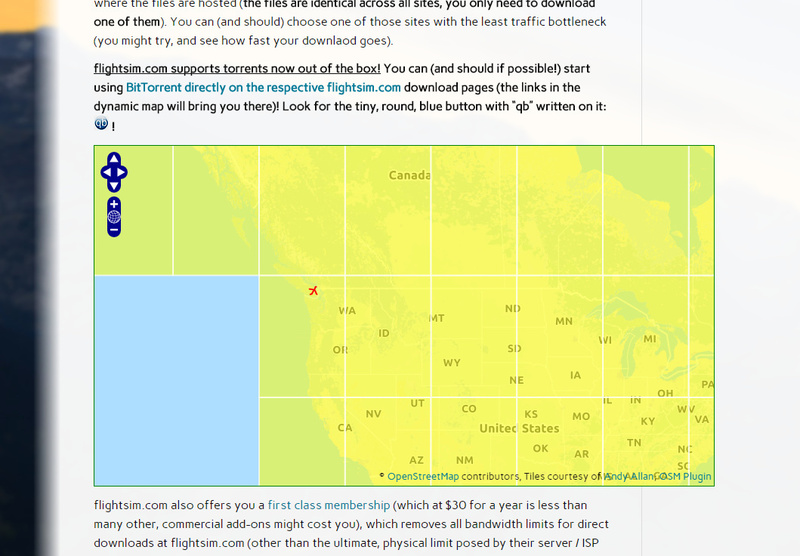 The site flightsim.com is worth registering with as they hold .torrent files that for me came down quickly, but try the others as well I guess. 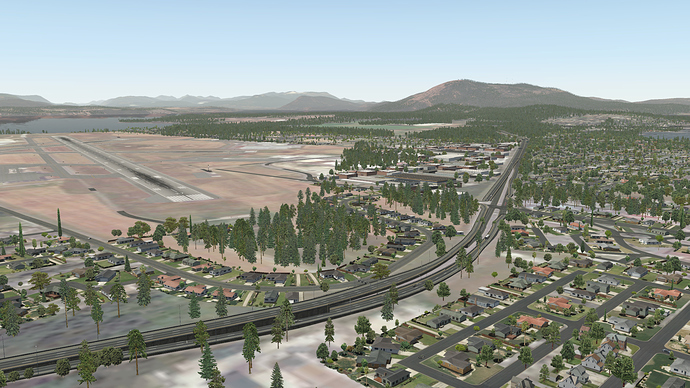 Now, there is usually some confusion over this (so I hope I’m right) but I believe that only the overlay Open Street Map like info (things like roads and autogen scenery locations) are read from the HD-Mesh download, as there is no way to have two elevation meshes combined in XP10/11. 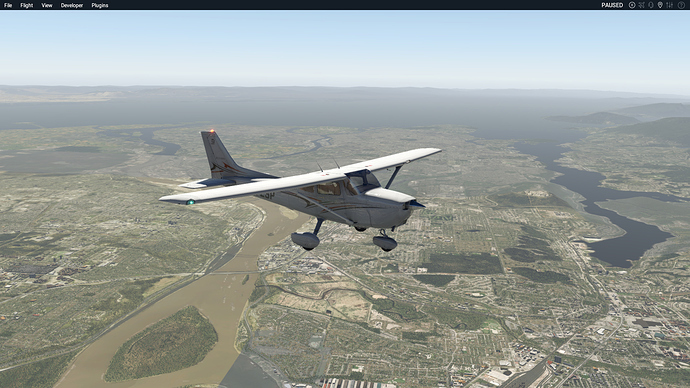 The Ortho4xp doesn’t actually need the HD-Mesh download anymore after the overlay directory has been built, so you can also remove it to save space. 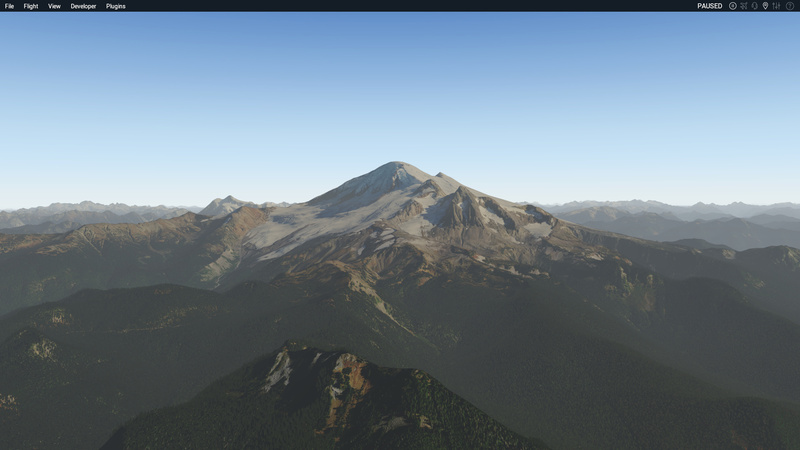 There is no point having two meshes as X-Plane will just use the one anyway. The ‘Curv_tol’ setting in the ‘build base mesh’ area is used to set the number of triangles in the mesh and is worth playing with. 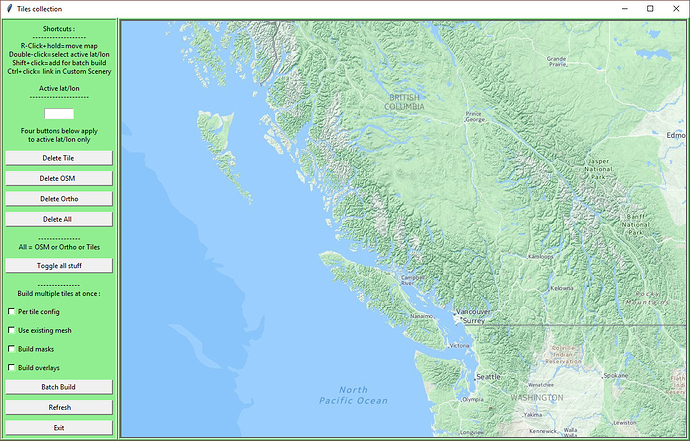 The Michelangelo-like red arrow at the almost bottom shows that you just point to your HD-Mesh v3 directory (you might already have it under Custom Scenery for XP) and then the (Build Overlay) button does the rest. 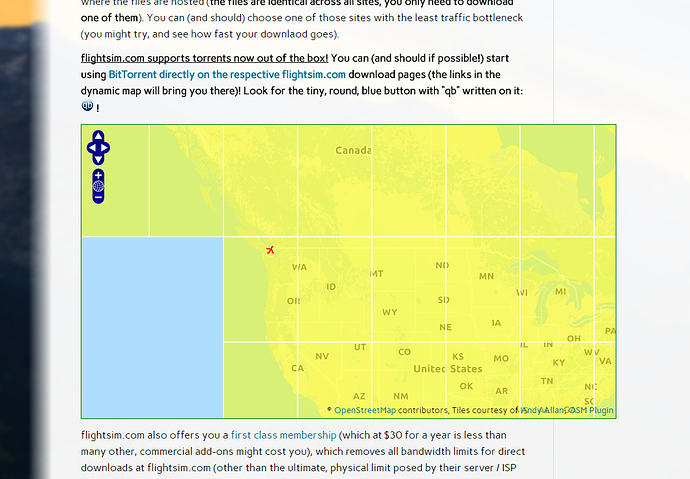 It all lines up with the photo scenery too plus only took 5mb of space as well. Neat! 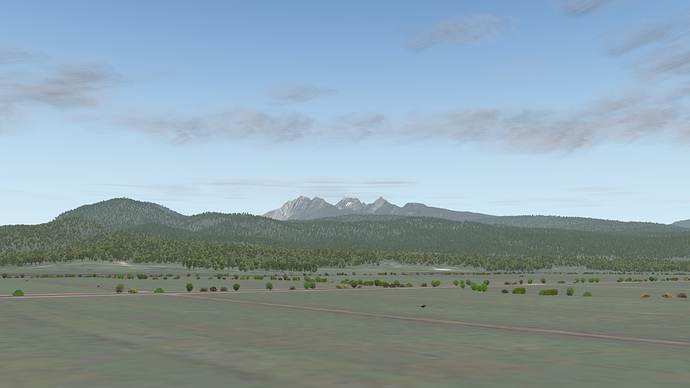 For an X-Plane 11 beta install it might also be worth playing with the default scenery data that comes with that install. The OSM overlay data seems pretty good, so it might even be just as good to point the overlay directory to E:\Games\X-Plane 11\Global Scenery\X-Plane 11 Global Scenery anyway and save doing the HD Mesh big download… For a future experiment! 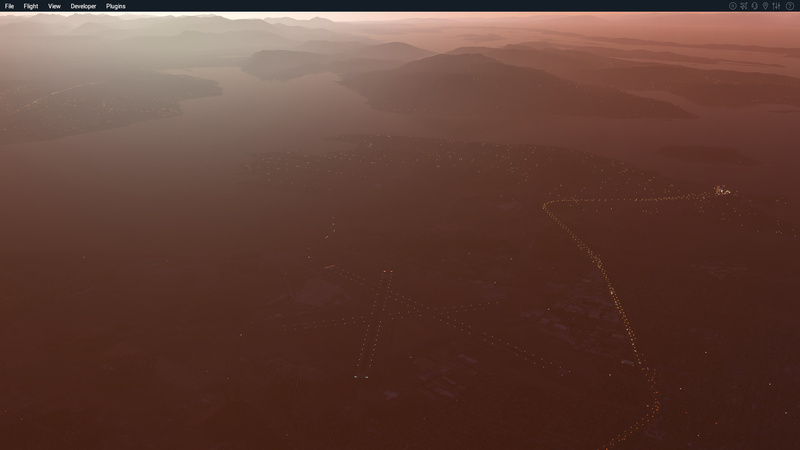 Try a ‘Sea Source’ tile, as although we lose the water reflections some coastal graphics will look nice. Over lake areas (Ontario etc) try out some settings on using ‘masks for inland’. Figure out more the ability to draw shapes for zones to have higher level zoomed tiles for areas around airports or places I know I’ll be low on a route. 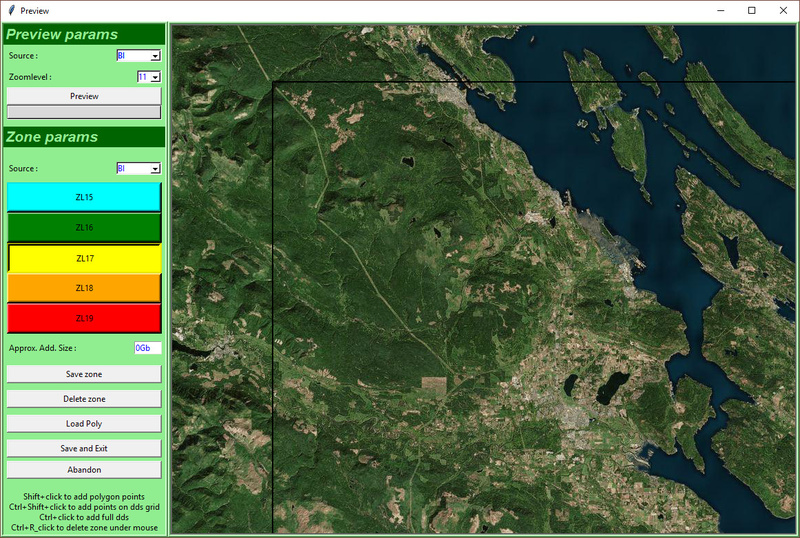 The zoom level preview tool looks pretty straight-forward to use but I’m curious to see how XP picks up these around airports etc. 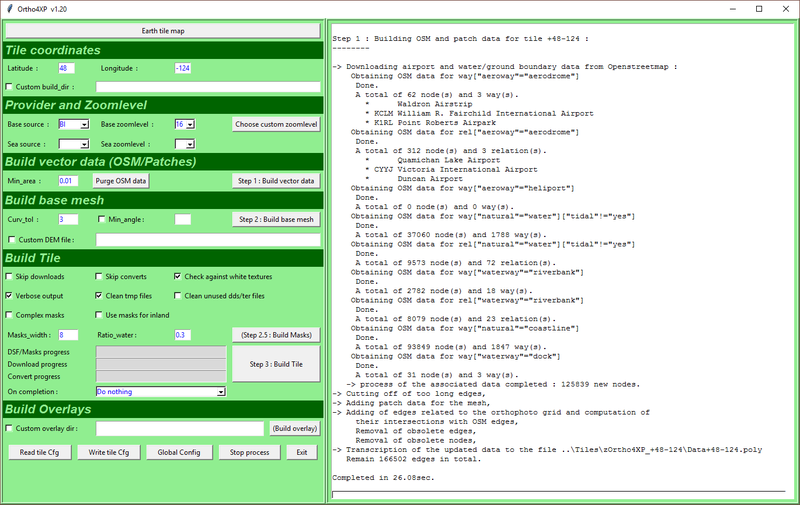 Write up a guide on the batch build screen, as it’s a bit weird to use. The examples above use the default ‘Bing’ and maybe they are just welcome to get someone visiting them. Oh c’mon now… Every parent over the age of 60 has the Bing toolbar installed. Ask me how I know! So the big question - did you find your house? And was there a Microsoft van parked in your driveway? They want to know where all their Bing data is going. So the big question - did you find your house? 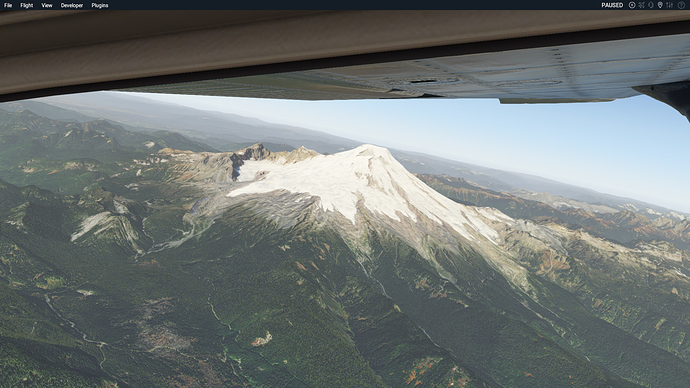 I’ll look, just checking out the local Volcano - Mt Baker is looking good today under the left wing! For these I used the USA_2 map tile source with a default of 17. An area about 200 square miles comes out to 80 GB very roughly. that looks awesome, but holy smokes that’s a lot of storage. 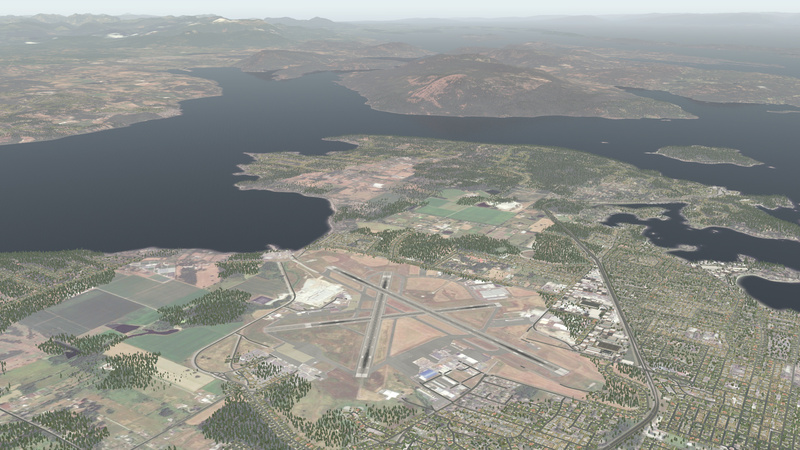 It is, although I’m not sure I’d need that level of resolution that often - I just picked a bunch of areas to let me VFR anywhere in a big circle around Seattle / Vancouver, BC to get a taste. A smart way to do it would be to draw zones around the airports and then use different detail levels (and then storage) for different places. It annoys the fish that were in there too I would imagine. Amazing guides though, thanks very much. As a newcomer to X-Plane it’s one thing I would really like to do is improve the scenery. Hopefully these step by step guides can even help a numbskull like me. Yeah that’s pretty great, thanks a lot! 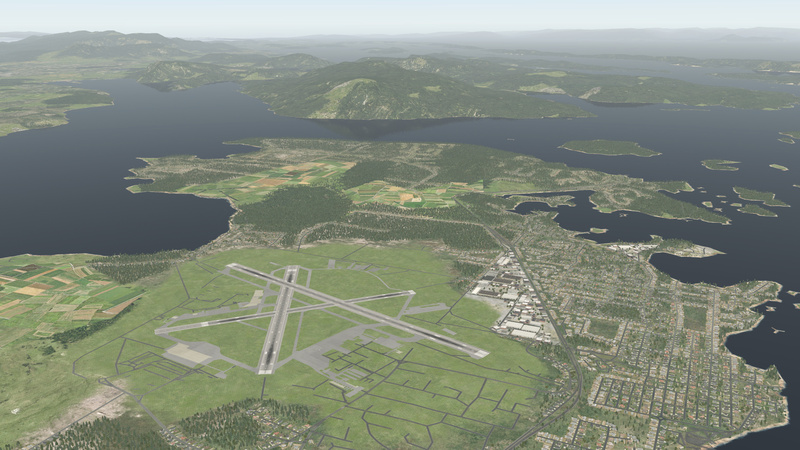 What a great post / find @fearlessfrog, very useful for someone first finding their feet in customization of the X-Plane series scenery. Thanks! Help. I cannot seem to find the missing water screenie from all of the above posted(?). That would bother me very much, too, rivers and bodies of water being very important for visual navigation exercises. 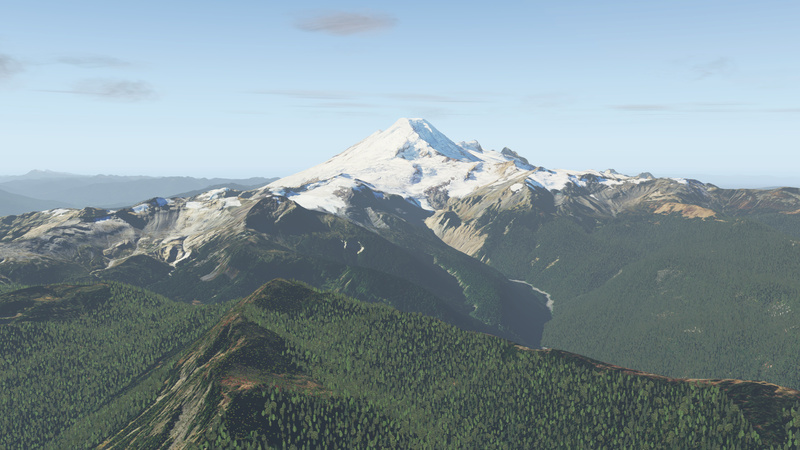 The two Mt Baker ones are both from X-Plane.